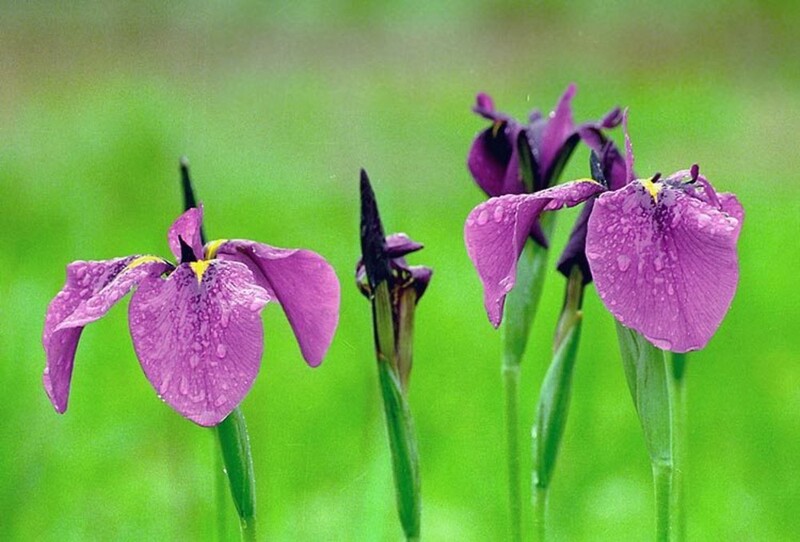 Russian iris is native to China, Japan and eastern Russia, and is widely cultivated. There are a wide variety of cultivars, varying in flower color and form. 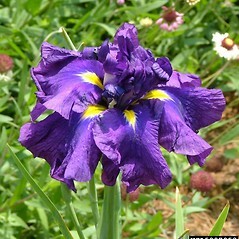 Note that It has larger flowers than blue iris (Iris versicolor). 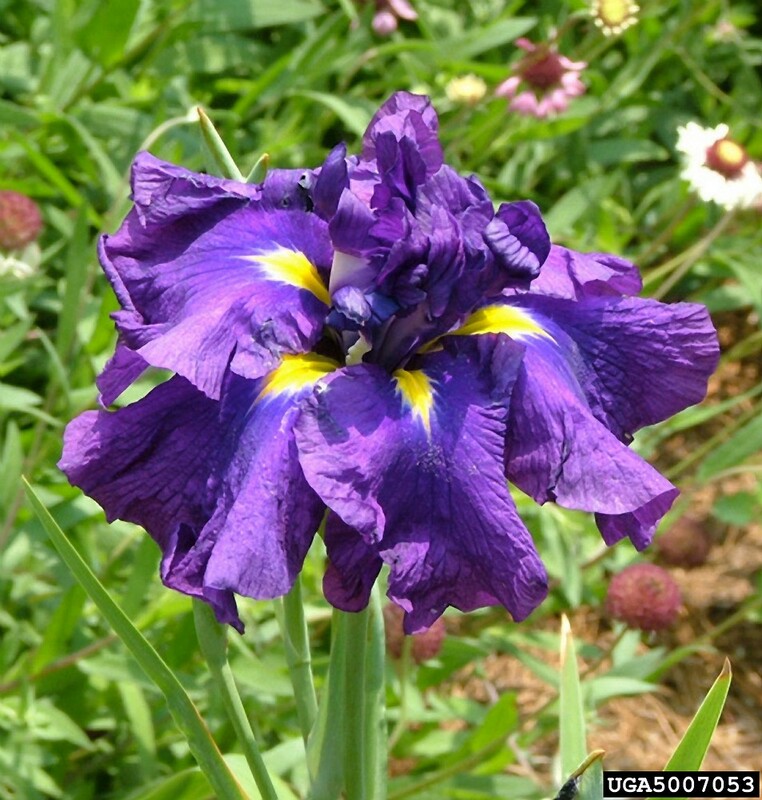 Russian iris rarely escapes cultivation in North America, but in New England it has been collected from disturbed areas in Connecticut and Vermont. 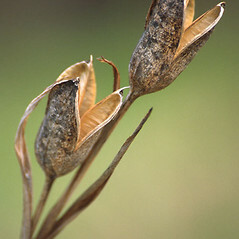 flowers mostly 6–8 cm wide in life, capsules rounded-triangular in cross- section, lacking longitudinal ridges, and seeds D-shaped in outline (vs. 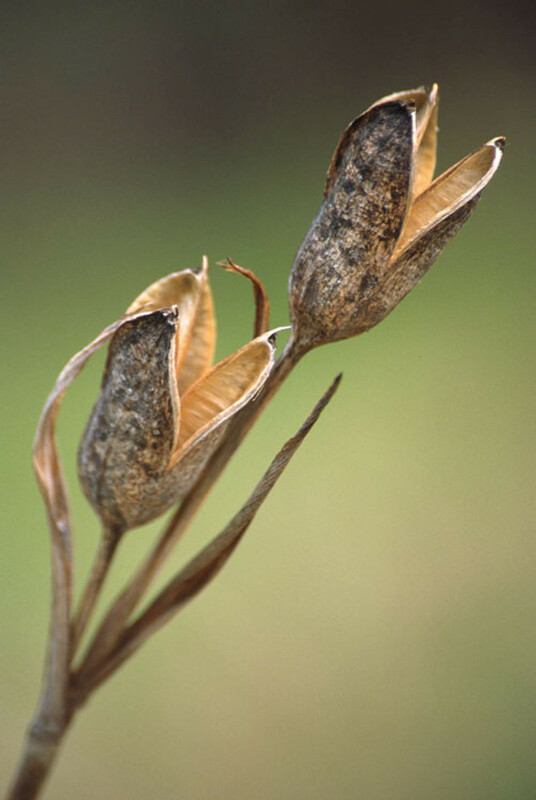 I. ensata, with flowers 8–15 cm wide in life, capsules terete or nearly so in cross-section with 6 longitudinal ridges, and seeds +/- circular in outline). 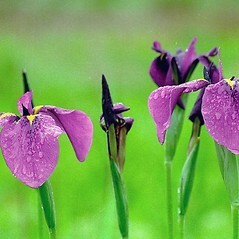 Russian iris. Iris kaempferi Sieb. ex Lemaire • CT, VT. Edges of lawns, fields, roadsides, compost heaps. Iris ensata has larger flowers than Iris versicolor (8–15 cm wide vs. 6–8 cm wide).